Yeshua? Iesous? Jesus? Some other form? Who’s right? – Open Our Eyes, Lord! The headlines are usually IN BOLD PRINT!! With lots of COLOR!!! Having studied the matter, I believe that the Hebrew name for Jesus is Yeshua, but here I’m talking about the extremists. For example, “Satan has had 2000 years of infiltrating the Church, and look at it, full of every sin and evil imaginable and all under the name of Jesus.” The most extreme blog I have found includes this rant: in Spanish it goes on about how those who use the name Jesus instead of Yeshuaʿ are (supposedly) responsible for the Inquisition, the papacy, Satanism, Christian rock music (! ), charging people money to go to heaven. Oh, and they are the ones responsible for killing 6.5 million Jews in the Holocaust. “Ah,” we hear, “but we must explore the Jewish roots in order to appreciate the gospel!” And of course this is true: I myself spent some years learning how to read Hebrew, and this year I am reading the daily Parashah (the Torah in a year) in Hebrew with a group of friends. I teach our graduate-level course on Jewish backgrounds of the New Testament. I read the Mishnah, the Dead Sea Scrolls. All to say that I do appreciate, I think, the Jewish background of the faith. No, what I am talking about here is the kind of people who blog and YouTube about Hebrew Roots and Sacred Names but who themselves know a little Hebrew at best, relying on others’ comments or the Strong’s Concordance for their information, people who must resort to copying and pasting Hebrew and Greek words from other sources. 1. “It is impossible to ‘translate’ a name from one language to another.” FALSE! The example that always come up is, “George Bush is George Bush all around the world! 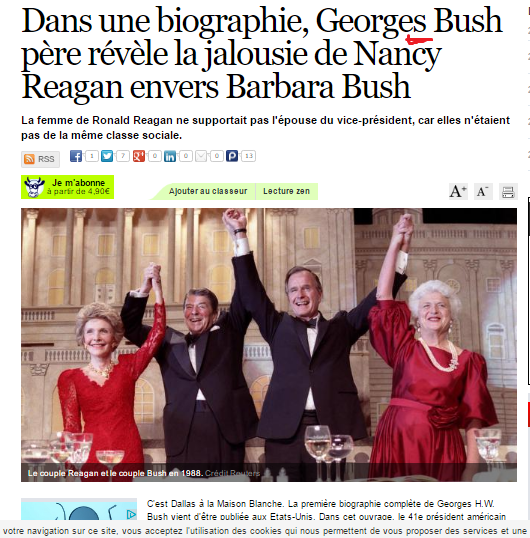 You wouldn’t say ‘Jorge Bush,’ because names cannot change!” Well, let’s retire this claim from the outset: two minutes with Google reveals that George H. W. Bush is sometimes called Jorge in Spanish, Giorgio in Italian, and with the French form Georges, as in this article. In fact, names can change from one language to another. We could multiply examples: Why do the Italians call the king of France Luigi XIV, but the Spaniards say he is Luis XIV? Why don’t they say Louis XIV, like the French do? In English why do they say Christopher Columbus; in Spanish Cristóbal Colón? Why don’t they say it the right, Italian, way, Cristoforo Colombo? Why do we say that the Russian Tsar was named Ivan, when everyone knows the correct form of that name is Иван? Why do I work alongside of missionaries who were named by their parents Paul, Mark, and Andrew, but in the Central American country where we work they answer to Pablo, Marcos, and Andrés? Why is my own surname spelled and pronounced differently in English than it is in the original Swedish (Sjögren)? Because that’s what happens to names! If someone tells you the pronunciation or spelling of names cannot change between languages, then they need to get out of house and travel more, or maybe learn another tongue. By the way, I just saw someone say the same thing about Benjamin Netanyahu: “You wouldn’t change his name in English, would you? ?” Well, yes, yes you would! “Benjamin” (BEN-juh-min) is the Anglicized version of a name that is pronounced and spelled differently in Hebrew (ben-yah-MEEN)! With no “j” sound! Far from proving the case, the Netanyahu example neatly backs up what I am saying in this article about spelling and pronunciation adaptations from one language to another. 2. “Iesous (the Greek form of the name of Yeshuaʿ) did not exist before the crucifixion; it was invented by the Romans (or the Jews? Or the Catholic Church? Or Constantine? )” FALSE! Was the name Iesous invented on Good Friday or in the 2nd century or the 4th? And was it meant as an insulting nickname? Here is another interesting theory, but one which falls apart in the light of the actual data of history. I have access to a program called Thesaurus Linguae Graecae (TLG), which is a digital database that allows one to look up all of the 10,000 Greek texts, from the earliest writings through AD 1453. I have used it to put together a concordance of every single reference to the name Iesous in ancient Greek writings. If the pig, or horse, Horus, or “Hail, Zeus!” theories were true, then we would expect the data to show that the name wasn’t used before around AD 30. Instead, what do we find? More than 300 pre-New Testament references men, always Jewish, not Gentile, named Iesous. The name Iesous ( ̓Ιησοῦς, pronounced yay-SOOS) first appears in the literature of the third century BC, specifically, in the Septuagint (abbreviated as LXX). The earliest appearance of the LXX was a translation of the Pentateuch from the Hebrew into koine Greek. The rabbis who carried out the version were expert in the Hebrew Scriptures, fluent in Greek; they rendered the name Joshua as Iesous. In Hebrew, the name Joshua took two forms: Yehoshua (yeh-HOH-shoo-ah) in earlier books of the canon, Yeshuaʿ (yay-SHOO-ah) in later (for example, in Chronicles, Ezra-Nehemiah: Neh 8:17). 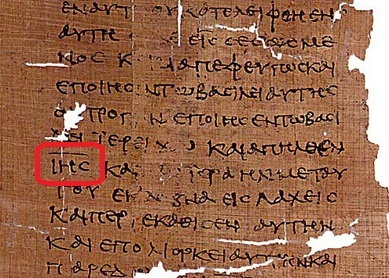 The Septuagint and later Jewish literature almost always uses Iesous (except, for example, in 1 Chron 7:27, where it is Iesoue, Ιησουε; and in other LXX manuscripts) which is the equivalent of the shorter form, Yeshuaʿ. The earliest appearance of Iesous is in Exodus 17:8-9a LXX – “Then Amalek came and was fighting Israel at Raphidin. And Moyses said to Iesous, ‘Choose for yourself capable men, and go forth, and set up in battle array against Amalek tomorrow.’” (NETS translation of the LXX) It is precisely the same word as Iesous in the gospels. This of course is Joshua, Son of Nun. The book of Joshua was translated, again, by pious Jews, not pagans, in the 3rd century BC, some 300 years before the crucifixion, and again, its protagonist is named Iesous. This explains why Joshua’s name is spelled Iesous in the Greek New Testament (Acts 7:45; Heb 4:8), and rendered “Jesus” in the King James of those two verses. Let’s ask the question: are we really to believe that every time the rabbi-approved Jewish translation of the Old Testament mentions Joshua ben Nun, it is attacking him as a horse or Horus or pig or Hail, Zeus? Let’s look at other Jewish men named Iesous. According to the traditional account, two of the 72 translators of the Septuagint were named Iesous (Letter of Aristeas 48-49a). One assumes that Iesous and Iesous knew how their own names should be spelled when they put together the new Greek translation! In fact, in the Septuagint, a whole book of the Bible is named “Iesous Naue” (Joshua of Nun), our book of Joshua. The TLG database identifies plenty of other men, every one Jewish, named Iesous in texts written by Jewish authors of the Second Temple period. The Jewish book Ben Sirach (or Ecclesiasticus, 2nd century BC) was written by a man named Yeshua in Hebrew and Iesous in the Greek translation. The Jewish book Bel and the Dragon 1:1 states that this legend about Daniel came from the prophecies of a man called “Ambakoum son of Iesous” (3rd-2nd century BC). An additional reference to the name Iesous is found in the fragments of Cornelius Alexander Polyhistor (in this case, a Greek historian in his book Upon the Jews, early 1st century BC); it is a reference to Joshua ben Nun. Likewise, Sibylline Oracles 2.247 (difficult to date, but probably pre-Christian) refers to Joshua as Iesous, as does the Testament of Moses (1st century AD) and 1 Macc 2:55 (2nd century BC). All to say that Jewish theologians of the day knew to render the Hebrew name Yeshuaʿ as Iesous, and found it a perfectly acceptable and very Jewish name. Besides Joshua son of Nun, he refers to a score of other characters with the same name, including several priests: Iesous the high priest, son of Josadek, who lived after the Exile (Ant. 20.234; the same person as Iesous in the LXX of Hag 1:1, Zech 3:1); Iesous the brother of Onias (Ant. 12.236), also known as Jason, the high priest from c. 175-72 BC (more on him below); Iesous ben Sie, high priest around the time of the birth of Jesus (Ant. 17.341); Iesous son of Damneus (Ant. 20.203), AD 63; and Iesous son of Gamaliel (Ant. 20.213), AD 63-64. As a Jew who was bi- or trilingual, and who probably knew dozens of men with that name, Josephus undoubtedly knew that the conventional Greek way of writing Yeshuaʿ was Iesous. Josephus also refers to Jesus of Nazareth as Iesous in Antiquities 18.63 and 20.200, with the same form he used of Joshua and all the others. Apart from the references to Joshua ben Nun and Jesus of Nazareth, the New Testament mentions three other men with the same name. In Luke 3:29, one of Jesus’s ancestors was also named Iesous. In Acts 13:6, a Jewish magician had the name Bar-Jesus, which is a Greek version of the Aramaic “bar” (son of) and then Iesous. Another interesting case arises in Colossians 4:11 – “Jesus, who is called Justus, also sends greetings.” Same name, same spelling as Joshua in the Septuagint and Jesus in the gospels. Iesous is a Jewish/Hebrew name; Iustus in Latin means “the just one.” Like many Jews, he had a Jewish name, and a sound-alike Greek or Latin one. That’s why Sha’ul/Paulus, Paul the apostle, had rhyming Hebrew and Latin names. Iesous the ancestor of Jesus of Nazareth was named generations before the crucifixion. Did his parents name him that as a joke? Did children bully him because his name meant “Hey, it’s a horse!” or “He’s a pig!” Of course not! And Jesus Justus (Col 4:11) – did his parents give him an insulting name? In both cases, they gave these men the name Iesous because it was a popular, biblical name, and an honorable one. Jews stopped naming their boys Iesous beginning in the second century AD, for the obvious reasons; nor did early Christians name their boys Iesous. There were rabbis and other Jews with the Hebrew name Yehoshua (the longer version of the name). 3. “Jesus is a pagan Greek name.” FALSE! My TLG search reveals that there are about 300 references to people named Iesous from before Jesus of Nazareth, and every single one refers to a Jewish man. Conversely, TLG yields not a single instance of any Gentile person with that name. That’s because it was derived from the Hebrew and was a purely Jewish name, as the Greeks and the Jews well knew. An interesting light is thrown on this fact by the example of Iesous the brother of Onias (Josephus, Ant. 12.236), mentioned above: when he wanted to become more Greek, he changed his name from the really, really Jewish-sounding Iesous to the Greek name Jason. As his name-change might suggest, he tried to force the Jews to accept Greek ways. I challenge the reader to show me examples of a Greek pagan with the name Iesous. In fact, those who do studies on proper names have argued that Yeshuaʿ/Iesous was the most popular name in Israel in the first century AD. In the inscriptions and the papyri of the period, until the second century AD, there are many references to Jewish men named Iesous. 4. “Iesous has nothing to do etymologically with the Hebrew name Yeshuaʿ.” FALSE! The evidence up until this point shows that there is only one possible matrix for the name spelled Iesous in Greek letters: it was only and always the Greek form of the name Yeshuaʿ, which was the short form of the name borne by Joshua ben Nun; and Iesous was the name of many other Jews from between the third century BC and the second century AD. If that’s the case, then why is Iesous spelled the way it is? The reason is two-fold and readily apparent to anyone who studies Greek, especially the Septuagint and other Jewish literature of the Second Temple period. (A) In Greek, when someone wishes to label (the technical term is “inflect”) a word as a masculine noun, it adds an “s” sound, the Greek letter sigma (ς), at the end. Inflection happens in most languages. In English we usually mark plural nouns with an “s” (store to stores, boy to boys). Hebrew too marks its nouns: many single feminine nouns end with “ah” (berakah, ishshah, Sarah, mishpachah); masculine plurals often end with “im” (kerubim). Very simply, names in Greek are inflected (NOT perverted, not distorted!) by adding an “s” sound (the letter sigma, or ς) at the end. That’s why so many names of Greek males end with an “s” sound: Zeus, Hades, Ares, Achilles, Theseus; Socrates, Aristotle, Alexandros (Alexander the Great), Herodotus. If you look at names in the Septuagint, many Jewish names add a sigma at the end: Mosheh (Moses) becomes Mouses, Ezra becomes Esdras, Isaiah becomes Esaios, Jeremiah becomes Ieremias, Jonah becomes Ionas, Zephaniah becomes Sophonias. Does anyone wish to claim that these names all were vandalized by being represented with Greek letters, or made to sound like a pig, a horse, or Zeus? In the New Testament, John the Baptist goes from being Yehohonan to Ioannes, his father is Zacharias; the Jewish priest Qayapha becomes Caiaphas; among the followers of Jesus, Kepha (Peter) changes to Kephas (Cephas), Iakov (James) to Iakobos (“b” because there is no “v” sound in Greek! ); Barnabas picks up a final “s.” Yeshuaʿ too takes a final “s.” This is the normal, natural, no-cause-for-panic way that languages work. (B) Again, anyone who studies both languages knows that when words are transcribed from Hebrew to Greek, the “sh” sound (the Hebrew letter shin, שׁ) is written out as an “s” sound. Yeshuaʿ is spelled with the letter shin in Hebrew, but Greek does not have that sound and so it substitutes sigma (σ or ς). 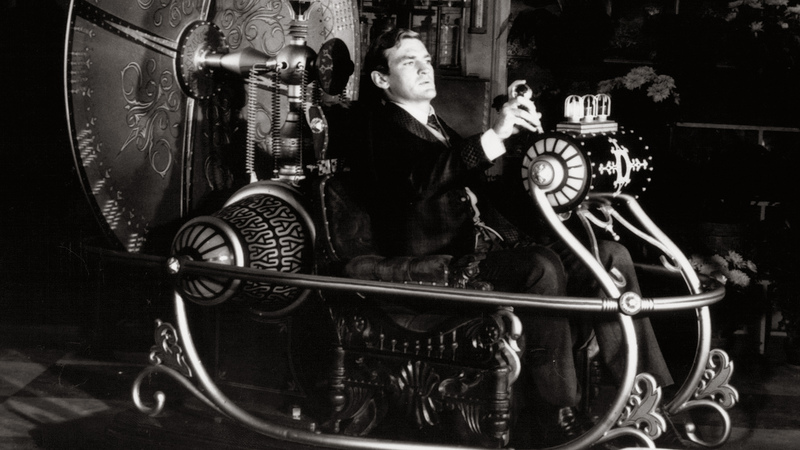 There are plenty of paralells in other languages: making a Greek speaker say “sh” would be like asking an English speaker to use the French guttural “r” or trill the “rr” as Spanish does – the “receptor” language does not accommodate it, and so something else is substituted. To give a parallel example, the Spanish letter ñ does not exist in English – that’s why in school the teacher said that the name of Columbus’s first caravel was The Nina (NEE-nuh), whereas its actual name was La Niña (NEEN-yah). It’s a technicality, and unless someone is a professor of 15th-century explorers, it doesn’t matter much how you pronounce it. Thus: the Hebrew name for Joshua, Yeshuaʿ, (A) adds an “s” sound at the end and (B) swaps the “sh” sound for “s”, and thus it becomes…Iesous. These are the normal rules from transliterating a name from the Hebrew to the Greek. No mystery. No conspiracy. By the way, the name for the Messiah is turned from Mashiach into Messias in the Greek, for the same reason – it is the title for a man, thus it adds the final sigma, and the shin sounds goes to an “s” sound. In the case of the apostle Paul, the same two rules apply: Sha’ul in the Hebrew becomes Saulos (Σαῦλος) in the Greek. 5. “Yeshuaʿ has a meaning in Hebrew, but Iesous does not mean anything in Greek.” FALSE! The 2nd-century writer of the Epistle of Barnabas 12 (which is misattributed to the Barnabas of Acts) does the same, and draws a comparison between the Joshua ben Nun in the Old Testament and Jesus of Nazareth, since they both had the name. But what if no-one in your circle knows how to read Hebrew? How will you know what Yeshuaʿ or Iesous means? In fact, the Bible itself tells us the answer in Matthew 1:21 – “She will give birth to a son, and you are to give him the name Jesus, because he will save his people from their sins.” Whether pronounced Yeshuaʿ or spelled out in Greek letters as Iesous, his name means “He-shall-save” = Jesus will save his people from their sins. By the way, Matthew 1:21 proves beyond a doubt that Jesus’s name in Hebrew was Yeshuaʿ, and not Yahushuah or Yahoshua, which names do not mean “He-shall-save.” In fact, I know of no instance in the Scriptures or elsewhere of any name Yahushuah. 6. “Iesous was fabricated by an enemy of the faith and means ‘Behold the horse!’ Or maybe ‘a pig’ or ‘Hail, Zeus’ or some such thing.” FALSE! With all respect, this is about the flimsiest idea of all, and obviously does not come from the mind of someone who knows the biblical languages. Someone has simply put sounds together to “really explain” the roots of the name Iesous, and made a real mess of things. Etymology is the study of the roots of words; etymologically, “sous” has nothing to do with the Hebrew word for horse (even the non-Hebrew reader can spot that sus, סוּס, is spelled with two uses of the letter samech ס, not shin שׁ). This shows that the words are totally unrelated. And while we’re at it, let’s dispel this “Hail, Zeus!” idea. The name Zeus (Ζεύς) in Greek is spelled, not with a sigma, but with a “z” sound, a zeta (ζ, which is capitalized as Ζ). It does not have the same diphthong as Iesous, but instead another one “eu.” Not only is it totally unrelated to the name Iesous in spelling, Zeus and Iesous don’t even rhyme, not in the Greek. This suggests to me that the Hail, Zeus theory was probably invented by a speaker of English, since the two words rhyme a little in English. The words Zeus and Iesous have nothing in common – except that they are both masculine nouns. And how in the world would some conspirator twist the name of Yeshuaʿ to honor the god Zeus – and then completely misspell and mispronounce the very name of Zeus? This theory appears to rest on a solitary statement in a book from 1983 – at least, that’s the “proof” that everyone cites. J. C. J. Metford writes that “Greek name endings with sus, seus, and sous (which are phonetic pronunciations for Zeus) were attached by the Greeks to names and geographical areas as means to give honor to their supreme deity, Zeus.” But making this out to be evidence that Iesous is based on Zeus is a fallacious argument, which runs “The Greeks attached such endings to some proper names in order to honor Zeus; Iesous has an ending that resembles that type; therefore, the name Iesous was created to honor Zeus.” It’s the fallacy of saying “All cows eat grass; cows are mammals; therefore, all mammals eat grass.” Besides, whether or not this practice was widespread doesn’t matter – the Jews had already spelled out the name of Joshua as Iesous as early as 300 BC, and they had no intention of honoring Zeus! People in the Sacred Name movement have the unfortunate tendency, found in too much online “scholarship” these days, of quoting one another, referencing out-of-date works, or finding the odd statement in some book, resulting in blogs that are echo chambers of one proponent quoting another as an “expert authority.” For example, “Some authorities, who have spent their entire lives studying the origins of names believe that ‘Jesus’ actually means – ‘Hail Zeus!’” Then too, this Metford quote mentioned above is passed from hand to hand, with no-one looking it up in the original or double-checking his assertion. I know that this is how the social media work, but in this case it is particularly shameful to see how many internet posts are just sloppy copy-and-paste jobs, published by people who claim to speak with authority, but who have done little to no first-hand research in the original languages; who haven’t even consulted reputable secondary sources such as NIDNTT or TDNT or TDOT or HALOT. Whether it’s the pig theory, the horse story, or the Horus or Zeus conspiracies, this is not serious scholarship; it’s a desperate fishing about for some proof or another to discredit the data of history. In fact, the whole thing takes me back to 1980, when the TV miniseries “Shogun” came out. I never saw it, but it had an impact on my life: some wise guys called me “Shogun” for about a month after it was broadcast. Well, for someone to say Iesous “really” comes from horse, pig, or Zeus is about as absurd as saying that my name “literally means” that I am a 16th-century Japanese warlord instead of, as I happen to know, someone whose Swedish ancestors had a totally unrelated name. 7. “The use of Jesus or other forms is a plot by the Vatican to blaspheme God and the Savior. If you use that form, you have fallen into their trap and are apostate.” FALSE! Step 6 – (are you exhausted yet?) they then bounced further back in time to the year 280 BC, to force the translators of the Septuagint to use the name Iesous as the Greek form of the name of that man of God, Joshua. Are you persuaded by this conspiracy theory? I’m not, either. Let’s say for the sake of argument that someone decided to honor Zeus by twisting the name of Jesus to Iesous. When would they have done this, around the year AD 100, I suppose? In that case, we would have to turn a blind eye to 400 years of hard evidence (from 300 BC to AD 100) which proves the opposite is true. If the conspiracy was done by Constantine, then we have to ignore a whopping 600 years of evidence. The alternative to conspiracy thinking is that “the simpler solution is, all things being equal, more likely to be the right one” (otherwise known as Ockham’s Razor). In this case, the solution that takes all the data into account is that the name of Iesous was very common, centuries before the Vatican was a gleam in the pope’s eye. 8. “Greek or Latin names are by definition polluted with paganism; therefore, the Lord could not have the name Iesous.” FALSE! For one thing, Iesous is not a Greek or Latin or Roman Catholic name – it is a purely Jewish name that happens to be pronounced in a way that was intelligible in the Greek language. It was the apostles themselves who used that form. And if the apostles imagined that Greek names were “dirty,” then why did they themselves go around with Greek names? When we get to heaven, that’s a question we’ll have to ask Andrew, Philip, the two Simons, let alone the seven deacons Stephen, Philip, etc. – they all had Greek names per se. Andrew means “manly man” in Greek, but not in Hebrew. Philip means “he who likes horses.” It’s the names that their parents gave them, with no apparent hint that they were falling into apostasy. To claim that the Greek spelling of his name somehow links Jesus the Savior with Greek paganism is about as logical as saying that my Germanic name “Gary” makes me a Nazi, or my Swedish surname makes me a worshiper of the Norse god Thor. 9. “If you claim to follow Jesus, then you cannot be saved, because there is ‘no other name by which we can be saved’ except for Yeshuaʿ.” FALSE! First of all, let’s be clear on something: whenever someone writes a blog in English and says we must use the name “Yeshuaʿ” – spelling it out in Roman letters, Latin letters, as in the Roman church! – then neither is that person writing out Yeshuaʿ as originally written. They write Messiah with two esses, which just isn’t right! They too are falling short and by their own lights and should, I suppose, expect to come to grief in the final judgment. By the way, they are all spelled and pronounced differently in the Hebrew, that is, they are not the same name. By my count, people who insist on one and only one of the above names have about a 1 out of 13 chance of escaping condemnation. Of these, Yeshua actually exists in the Hebrew Scriptures, also Yehoshua; the others are made-up forms, from people who don’t know Hebrew, or perhaps who have seen the light through mystic study or “revelations” or rewriting the name through their own sketchy experiments with Strong’s Concordance. In fact, the idea that the pronunciation of the Lord’s name must be precisely, scientifically, exactly pronounced in this way and not the other is a sign that people misunderstand what we are doing when we call on the name of the Lord. They are treating the divine name as if it were a fetish, a magical formula. In magic, you must pronounce the name exactly right, or the whole thing might blow up in your face! Thus the Sacred Name Movement has become a Magical Name Movement. Interestingly, we have many magical papyri from the first century and onward, where pagan and Jewish magicians used the name Iesous in order to heal or drive out demons as an abracadabra, a power word. The sons of Sceva made the same goof in Acts 19:13 when they tried to cast out a demon “in the name of Jesus whom Paul preaches.” Their error lay not in how they pronounced Iesous – they used the same pronunciation that Paul used with the Macedonian girl – but in the disgraceful way they tried to exploit his name for profit. Fourth, even if people agree that his name is Yeshuaʿ, it is amazing how many Messianic believers mispronounce it. In the case of the final vowel patach, they do the typical English thing and slur (the technical word is “reduce”) the final sound into a shwa (ᵊ), the short “uh” sound, when the Hebrew sound is “ah”; and secondly, they mispronounce the first syllable as “Yeh” when it must be “Yay” (Yay-SHOO-ah is correct). And hardly anyone authentically pronounces the final letter of Yeshuaʿ (ayin, ע, in Hebrew, represented by the superscript ʿ), which has a deep guttural sound, the sort of gagging noise you make when the doctor puts a tongue depressor down your throat. In light of their own standards, can Sacred Name sectarians be really certain that Lord hears and understands them when they pray with such sloppy diction? And if someone wants to say, “Well, it doesn’t matter so much, since in English we don’t have the ayin sound!” – then isn’t this falling back on what the Greek Bible does when it changes the shin sound? If this justification holds for one Hebrew letter, then certainly we can apply it to another. In short, Yeh-SHOO-uh with no guttural at the end strays as far from the “original” pronunciation of Yeshuaʿ as Iesous does! I likewise run into Messianic believers who consistently mispronounce the divine title “Adonai” (the “d” should sound like the “th” in “though,” not be hard as in “dough”). Does the Lord hear them when they slip in a hard “d”? Well, of course, the Lord is so wise and powerful and caring, that he understands us when we pray, and is not confused by insignificant pronunciation differences. To say otherwise is to reduce him to a god like Baal: we would have to shout louder to make him understand us (see 1 Kings 18:27). Fifth, like you, I believe in a God who is the Lord of all nations and all languages, as the Bible clearly tells us: “because you were slain, and with your blood you purchased for God persons from every tribe and language and people and nation” (Rev 5:9). The Lamb of God will not bar you from his chosen people even if your language does not have an “sh” sound. If you “slay” the saints of God by insisting on your own pronunciation, rejecting a form that the Holy Spirit approved 1230 times in the New Testament alone, you are committing a slaughter infinitely worse than that against the Ephraimites. You are telling God’s children with their slight lisp that they “don’t talk good enough” to merit his grace. “If you confess with your lips that Jesus is Lord and believe in your heart that God raised him from the dead, you will be saved.” (Rom 10:9) So, call on him, call on Yeshuaʿ or Jesus, or Jesús in Spanish, or Gesù in Italian, or İsa in Turkish, or Isus in Bosnian, or เยซู (Yesu) in Thai. Just make sure you call on him. For the file of all these references, download the pdf file here. Another appearance of Iesous is found in a magical formula attributed to Astrampsychus Magus from the 4th century BC; it uses Joshua son of Nun and other Bible names to cast magical spells (see line 10). The post-Christian Jewish versions of the Greek Old Testament – Aquila, Symmachus, Theodotion – also use Iesous of Joshua, again, with no hint of a smirk. The rabbis rejected Hellenization (the erosion of traditional Jewish by Greek values), but had no scruple at all about translating the Old Testament into Greek. See for example the Mishnah tractate Megillah 1.8: “Simeon b. Gamaliel says, ‘Also: in the case of sacred scrolls: they have been permitted to be written only in Greek.’” (Neusner version) The Babylonian Talmud comment on this passage speaks favorably of this principle and points to the Septuagint as evidence. K. W. L. Müller, Fragmenta historicorum Graecorum, 5 vols. (Paris: Didot, 1841-1870), 3:210-44. The so-called Testimonium Flavianum in Ant. 18.3.3 (http://www.ccel.org/j/josephus/works/ant-18.htm) was probably modified under Christian influence: “Now, there was about this time Jesus, a wise man, if it be lawful to call him a man, for he was a doer of wonderful works—a teacher of such men as receive the truth with pleasure. He drew over to him both many of the Jews, and many of the Gentiles. He was [the] Christ; and when Pilate, at the suggestion of the principal men amongst us, had condemned him to the cross, those that loved him at the first did not forsake him, for he appeared to them alive again the third day, as the divine prophets had foretold these and ten thousand other wonderful things concerning him; and the tribe of Christians, so named from him, are not extinct at this day.” (Whiston) The fact that Josephus calls Jacob the brother of Iesous in Ant. 20.200 (http://www.ccel.org/j/josephus/works/ant-20.htm), speaking favorably of James, shows that Josephus casually used the name Iesous of Jesus of Nazareth with no sense of irony or insult, no reference to horses, pigs, Horus, or Zeus. There is an excellent summary of the data concerning the names Joshua, Jesus, Yehoshua, and Yeshua in the article by W. Foerster, “ ̓Ιησοῦς,” TDNT 3:284-87. See also K. H. Rengstorf, “ ̓Ιησοῦς,” New International Dictionary of New Testament Theology, 4 vols. (Grand Rapids: Zondervan, 1986), 2:331 – “Among Palestinian Jews and also among the Jews of the dispersion the name Jesus was fairly widely distributed in the pre-Christian period and in the early part of the Christian era…The name also occurs about this time, however, in numerous non-literary Jewish texts, among them inscriptions on graves (at Leontopolis or Tell el-Yehudieh north east of Cairo, ZNW 22, 1923, 283) and on ossuaries from the neighbourhood of Jerusalem. Some of these are written in Heb[rew] or Aram[aic], others in G[ree]k.” Moulton and Milligan a century ago had several examples from the papyri. We cite them in full: “As showing that the name Ἰησοῦς, the Greek form of the Hebrew Joshua, was widely spread amongst the Jews both before and after the beginning of the Christian era, we may cite such passages as P Oxy IV. 816, the fragment of an account written before the end of i/b.c., where ]ς Ἰσιδώρου καὶ Ἰησοῦς occurs; P Lond 1119a2 (a census-return—a.d. 105) (= III. p. 25) τῆς Ἰ̣ησοῦShogren_Yeshua Iesous Jesus Some other form Who’s rightτος μητ(ρὸς) Τ̣α̣[; and an ostrakon of a.d. 103–4 registering the poll-tax of a Jew described as Σαμβαθίω(ν) ὁ καὶ Ἰησοῦς Παπίου (Archiv vi. p. 220: cf. Meyer Ostr. p. 150 with Deissmann’s note). In the magical P Par 5741233 (iii/a.d. ).” From J. H. Moulton and G. Milligan, The Vocabulary of the Greek Testament (Grand Rapids: Baker, 1995 [orig. 1914]), 301. There is some manuscript support for an alternate reading to Matt 27:16-17, that Barabbas was actually named Jesus as well: “Whom do you want me to release for you, Jesus Barabbas or Jesus who is called the Messiah?” (v. 16, NRSV); it is included in the NA-28 edition of the New Testament, since “a majority of the Committee was of the opinion that the original text of Matthew had the double name in both verses and that Ἰησοῦν was deliberately suppressed in most witnesses for reverential considerations.” See Bruce M. Metzger, A Textual Commentary on the Greek New Testament (2nd ed. ; London; New York: United Bible Societies, 1994), 56. One should also mention the article by Sawyer and Fabry, “ישׁע,” in Theological Dictionary of the Old Testament, G. J. Botterweck and H. Ringgren, eds., 15 vols. (Grand Rapids: Eerdmans, 1990), 6:441-63, who show that pagan names using the root ysha, to save, were used in pagan cultures long before Joshua; the earliest known reference is from Ur in 2048 BC (443). Something similar happens with English names that come from Spanish (or Italian). Boys names are spelled with a final “o” – Antonio, Alejandro, Emilio, Fernando, whereas girls’ names might be spelled with an “a” – Antonia, Alejandra, Emilia, Fernanda. In Spanish, the Shakespeare tragedy is named “Romeo y Julieta,” making it clear which is the boy and which the girl! By the same token, many Greek female names end with an “a” sound – in Greek mythology, Hera, Athena, Atalanta; in the New Testament, Junia, Julia, Lydia, Euodia, Priscilla. And who would know what the Semitic words “Hallelujah” or “Amen” or “Hosanna,” “Maranatha” or “Rabbi” or “Corban” meant – words that were transliterated directly into the Greek New Testament – unless someone told you? J. C. J. Metford, Dictionary of Christian Lore and Legend (rev. ed. ; London: Thames and Hudson, 1991), 126. Les Aron Gosling, “‘Yeshua’ or ‘Jesus’—Which?” Biblical Research Institute, 1996. TE FALTA INVESTIGAR A FONDO, ESTAS ESCRIBIENDO SOLO , LOS QUE ELLOS QUIEREN ! Bueno, su comentario me deja atónito! En serio ha leido el articulo, todas las paginas? Esta investigación fue mi propia, llevada a cabo a través de mucho tiempo. Es decir, no copio y pego. Usted ha buscado cada texto, en los idiomas originales, como yo he hecho? Ha buscado todas las 300+ referencias al nombre Iesous en griego de antes del primer siglo? Yo si las leí en griego, cada uno, me costó mucho tiempo hacerlo de primera mano. Si quiere hablar de cómo tradujo mal el hebreo, por favor decirme. Pingback: Romans Commentary, Romans 1:1-17 | Open Our Eyes, Lord! and why is this an issue? why are we stuck in names! Hi, yes I agree completely, it should not be an issue. But it does become an issue, and an important one, when someone tells believers they do not really belong to God’s people unless they pronounce the divine name a certain way. Then it becomes sectarian and toxic. Pingback: Does John 4:22 say that salvation is just for Jews? | Open Our Eyes, Lord!